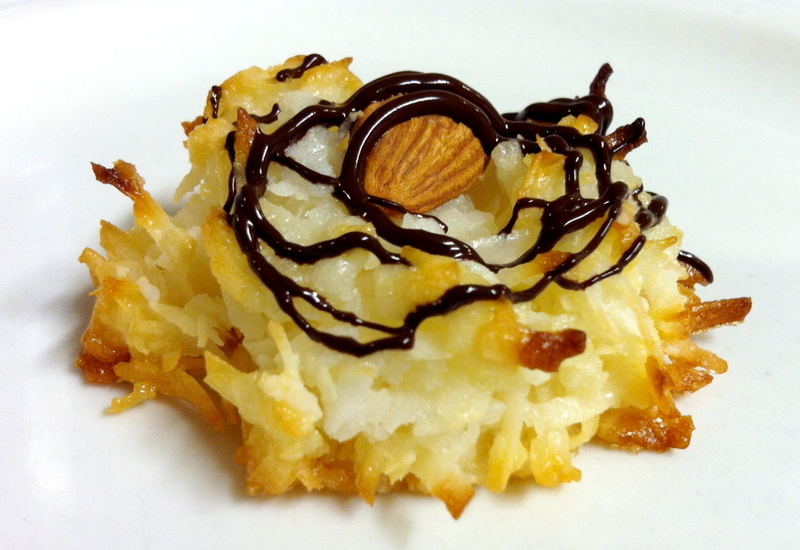 Chocolate Almond Macaroon Silver Linings | Small, but valuable. One advantage of having way too much free time is having enough free time to make things like chocolate almond macaroons. They’re for a care package for friends, but Scott and I had to taste test a few, right? Naturally. Interested in a good, quick recipe? Here you go! I have to say, in a world full of online ideas that are impossible to pull off without Martha Stewart super powers, it’s a relief to find a recipe that works for me. (There was a tragic Martha Stewart spring roll incident at our apartment recently. It’s too soon to talk about it in any detail, but it wasn’t pretty.) The macaroons even look as great in my oven as they do in the recipe. Magic.